Babblers sing loudly and almost constantly, making babbler an apt name. Most of them hop about in small groups in the underbrush, looking for food. Most forest-dwelling babblers socialize in flocks, but pair up during mating season and raise one or two broods, or groups of young hatched at the same time. Species in other habitats have developed different social systems and mating patterns. The bearded reedling lays four to eight eggs and can produce up to four broods in a season, with birds from the first brood being able to mate during the same season in which they were born. This adaptation is a response to living in unstable habitats and is a way to produce enough offspring so that the species survives. The Arabian babbler and related species use cooperative breeding, where a social group defends its territory so that a few birds can mate. 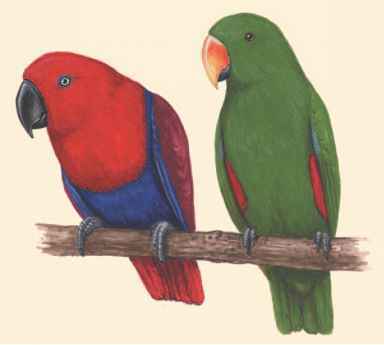 Usually a dominant male and female mate, and other birds wait for the opportunity to find a willing mate. Some members wait up to seven years for their chance to breed. Nests for most babblers are cup-shaped or spherical (ball-shaped), made from bark, twigs, and grasses, built in shrubs or bushes. Babbler eggs can be pure white, solid colored, speckled, or streaked.